I can still clearly remember my first experience with home made wine. The year was 1971. We were a struggling newlywed couple with a mortgage on a house we could barely afford and absolutely no money. In fact, we were so hard up that we could not afford either to buy a lawn mower or to spend money on entertainment. So instead of mowing the lawn, we entertained ourselves by watching the grass grow. Unfortunately, the growing grass brought a bumper crop of dandelions. Then I came across a recipe for home made dandelion wine. It sounded simple, did not require any expensive specialized equipment and gave us a way to improve our quality of life by turning our dandelion curse into a blessing. The first instruction in the recipe was "Take a gallon of dandelion petals." Have you any idea how many dandelion petals it takes to make a gallon? It took my husband, myself and three neighbor children a whole Saturday afternoon to pick dandelion flowers and pluck off enough petals to fill a gallon jug. That was our whole weekend's entertainment right there. Then we had to ferment our petal crop by making a wort. As any expert wine maker will tell you, you need to sterilize all your equipment with a sanitizing solution to prevent unwanted microorganisms from spoiling your wine. However, this did not even occur to us. We simply mixed up our dandelion petals with raisins, lemon juice, sugar and water in a clean plastic garbage can. Not having any actual wine yeast, we added baking yeast and waited for the fermentation process to begin. According to the instructions, the wort had to ferment for a week so that the yeast could convert the sugar into alcohol and carbon dioxide. As the fermentation began, carbon dioxide bubbles began to rise to the top of the fermenting mixture along with the petals and raisins. The beautiful golden yellow petals we had collected so painstakingly turned into a shade of brown that looked disturbingly like sewage and emitted an odor to match. Looking at this witch's brew with dismay, I began to have serious doubts about the end result. When the week was up the water had changed into a nut brown liquid which had to be poured into glass bottles for secondary fermentation. 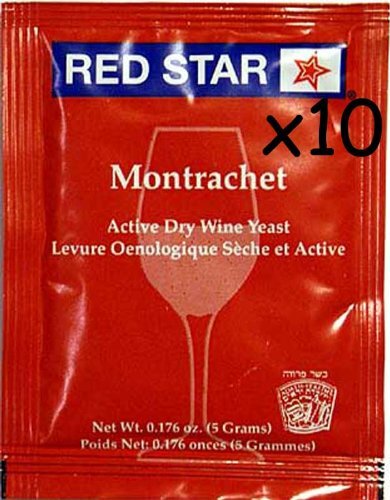 The young wine needed to be protected from bacteria, wild yeast, and fruit flies, any of which could spoil the flavor of the wine or even turn it into vinegar. However, the wine was still fermenting and producing carbon dioxide which, if not allowed to escape from the bottles, would have caused a pressure build-up a consequent explosion hazard. I found out all about the explosion hazards of fermentation first hand some time later when I decided to try a friend's "easy" recipe for blackberry liqueur. I picked some wild blackberries, mixed them with, sugar and vodka, put the mixture into wine bottles and screwed on the caps. In case you are wondering, my friend does, amazingly, still speak to me, but I have also consistently avoided bringing up the subject of blackberry liqueur in her presence. To avoid a similar disaster we needed to allow the carbon dioxide to escape and protect the wine at the same time. Experienced wine makers use fermentation locks. These are bent glass tubes designed to hold liquid, generally the same sulphite solution which they use to sterilize their equipment. The liquid protects the young wine while allowing the carbon dioxide to bubble out. When we sampled the end product, we were actually pleasantly surprised. The disgusting fermenting sludge we started out with had produced a sweet, brown dessert wine surprisingly reminiscent of sherry. We decided that wine-making was a great hobby as well as a way to enjoy one of life's pleasures without breaking the budget. Over the years neighbors with bumper fruit harvests generously donated their surplus. This reduced the cost of winemaking to the price of a bag or sugar and some yeast and gave us the opportunity to experiment with many different kinds of fruit. Not only do I enjoy a glass of home made wine, but I feel very virtuous when I drink it. First of all, I know I am saving excess fruit from going to waste. I am also enjoying the known health benefits of moderate wine consumption, which include a reduced risk of cardiovascular disease and cancer, and the prevention of Alzheimer’s and Parkinson’s Disease. In addition, I have read that many commercial wines contain pesticide residues from vineyard spraying along with potentially harmful ingredients used to control fermentation or to improve texture, color and flavor. In fact, according to a New York Times article on the topic, wine manufacturers use a wide variety of additives so obtain a product that can roll "off the assembly line, year after year, as consistent and denatured as a potato chip or fast-food burger". On the other hand, the results of making wine at home are much more unpredictable, which makes it quite a fascinating adventure. Sometimes the results are amazingly delicious but at other times you can end up with something that tastes so mouth puckeringly awful that it would be charitable to compare it to paint remover. If your disaster is white wine it makes an excellent stain remover for red wine. Simply soak the stain with a generous amount of white wine and blot the wine up with a paper towel. Dry wine can also be used to add incredibly rich flavor to stews and sauces. Simply add two or three cloves of chopped garlic, a bay leaf and green herbs such as rosemary, thyme or Italian seasoning to half a cup of wine. Add the wine/herb mixture to the pot to simmer with the other ingredients. In addition, dry wine is the perfect meat marinade. It has acidic properties which break down the tough protein in cheap cuts of meat. In fact, the more acidic (translation: the more sour and unpalatable) the wine is, the better it works as a magical marinade which can transform the toughest cut of steak into a tender treat. In fact, my guests have often given me rave reviews for serving barbecued chuck steak with the taste and texture of a tender prime cut. If your chuck steak is frozen, allow it to thaw overnight. In the morning, place the steak on a cookie sheet and cover it with paper towel or a cloth to prevent splatters. Take a steak hammer and pound the meat vigorously on both sides. Imagine the meat is your worst enemy and try to literally pulverize it to death. (Well, yes, I know the meat is already dead, but you get the picture). The more you pound the better your end result will be, so repeat this procedure at least two or three more times. As you pound the meat the connective tissue will begin to separate out. Take a sharp knife and cut the meat into sections, removing bones, connective tissue and excess fat as you do so. Sprinkle garlic powder and black pepper onto both sides of the meat. Sprinkle the meat with soy sauce and rub it in. Pour wine onto the meat and leave it to marinate in the fridge for the rest of the day, turning occasionally. When you are ready to grill or barbecue the meat, drain off and discard the marinade. Whether you barbecue your steak, cook it in the oven or fry it, your meat will be tender and delicious. My late father-in-law made dandelion wine. This article brought back a lot of memories! Thumbs up! Great read! 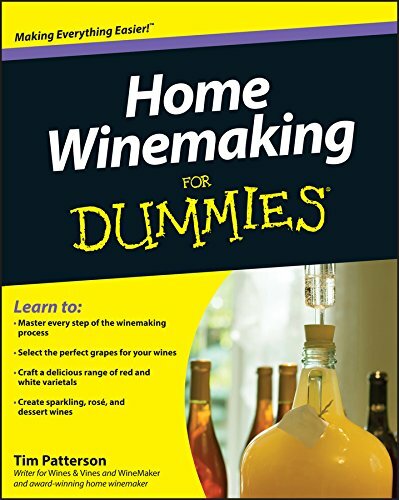 I've always wanted to learn how to make my own wine. Your adventure was so fun to read! My husband brews his own beer and we actually had an explosion happen during bottle conditioning! I was pleasantly surprised to learn that the both wine and beer making procedures don't differ too much! Glad you enjoyed the article, Mommy3, and Holly. Thanks for stopping by. I loved your article! It not only holds some great (fun) information but brought back a lot of memories for me. When I was a kid my grandmother made dandelion soup; a treat I haven't had for 60 years. Anyway, two big thumbs from me and a rating. Thanks, Marlando. I've never heard of dandelion soup. That would probably have been a godsend in our hard up years!